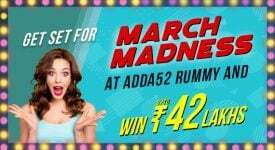 Adda52 Rummy, the leading rummy online website is geared up with India’s biggest offline rummy tournament Indian Rummy Challenge, 2018. This event is organised in Deltin Royale, Goa on 14 & 15th July. 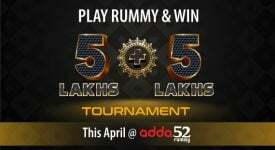 Adda52 Rummy is overwhelmed with participation of rummy players in daily satellites. Winners of Daily Qualifier are issued tickets for IRC Main Event.. This Indian Rummy Challenge, 2018 is surely going to be a major gaming event in India. 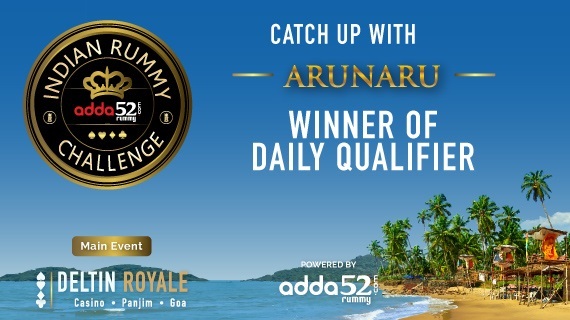 Among many winners who are enthusiastic to play in Indian Rummy challenge event, we recently spoke to winner arunaru who shared his experience. We would like to congratulate him and know how was his journey of winning Daily qualifier and getting ticket to play in IRC Main Event in the luxurious cruise Deltin Royale. 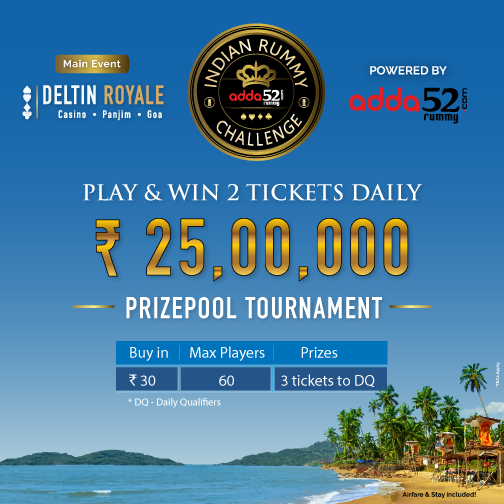 So, you are one of the lucky player who will be playing India’s biggest offline rummy tournament Indian Rummy Challenge, 2018 at Deltin Royale, Goa powered by Adda52 Rummy. How is the feeling? I am fully happy that for the first time i am playing an offline tournament and by god’s grace i am able to make it to finale. My name is Arun, i’m working as project coordinator in a private company. From how long are you playing online rummy? 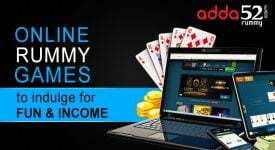 Had you participated in online tournaments at Adda52 Rummy? Playing from a long time. I regularly play and won 3rd Sankranthi Tournament. 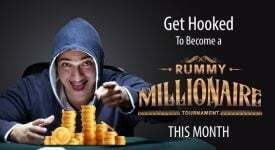 Were you fond of playing online rummy or happened to play by chance. How was the journey of winning Daily Qualifier? Through which satellite did you land on Daily Qualifier(Super/Turbo).. It was too tough and i was tensed that i may not make it out but finally i was able to win. Did you see a phase where you thought you are losing the game and you won’t be able to make it to Daily Qualifier or IRC Main Event? In the initial stages i thought i won’t make it, but after playing regularly i was able to get the ticket for the main event. What’s your strategy for IRC, 2018? What are you looking forward to in IRC main event.. It will be a healthy competition and i am looking forward to win it. I will implement all my game plan and want to be one among top 3 winners. So this was arunaru’s experience about winning Daily Qualifier. We will be back with more winners.. Stay tuned to adda52 rummy and keep playing! !